We strive to better the lives of pets and their owners through proper education, superior customer service, all natural products, and green business practices. As of 2013, 68% of US households own a Pet = 102 million homes. The Pet Foods and Pet Supplies segments comprise the majority of industry activity. Accordingly, EarthWise Pet Supply stores offer a wide range of pet foods, supplies, and services to fill this growing need in the market. 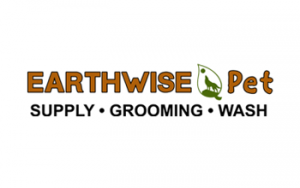 There are currently 34 EarthWise Pet Supply stores nationwide. We offer a growth incentive program with reduced initial fees, benefits of potential reduced costs through economies of scale, multi-store IT management assistance, Area Development and Master Franchise opportunities, expanded protected areas. We understand that this is a BIG step and it takes some financial commitment. Depending on your credit and collateral, there may be financing options available to you.